The country kitchen style is homey and warm with its colorful, eclectic, casual design. 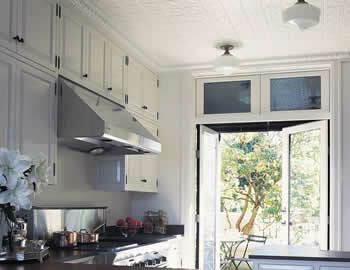 Country kitchens tend to use a lot of bright colors and a mixture of different woods such as pine or maple. The furnishings and appliances are often mismatched, giving the room a unique, personal look.